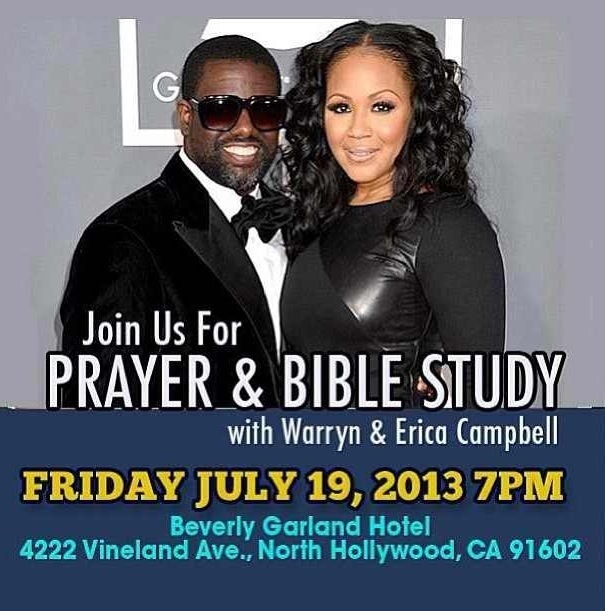 I absolutely adore Warryn and Erica Campbell. I ran across this image on Erica’s instagram and it totally blessed me. I loved the fact that they went beyond their own four walls, pushed passed their “celebrity” to do some good old prayer and bible study. Let us also be mindful that Erica’s Father recently passed. She could’ve been at home grieving but she pushed passed her own current circumstance and extended herself. Now you KNOW, I’m all about productive Christianity and give praise when praise is due. Kudos to Mr. & Mrs. Warryn Campbell. Keep up the good work! « SUMMER STYLE: What to wear Wednesdays!